Burbia’s hilltop vineyards of Mencia Isidro & his father discuss the vintage. The quality and style of Spanish kitchens where young chefs prepare ground breaking menus is extraordinary, and in Bilbao and San Sebastian you will find some of the finest cuisine in the country. Dining on your own in this city can include some of the most exquisitely prepared dishes in Michelin “starred” restaurants that you will ever experience or simple “pintxos” at a more moderate price. The restaurant in the Guggenheim itself, Bistro Guggenheim, is a one star Michelin restaurant. There are 3 Michelin starred restaurants in or nearby that are in the world’s top 10! 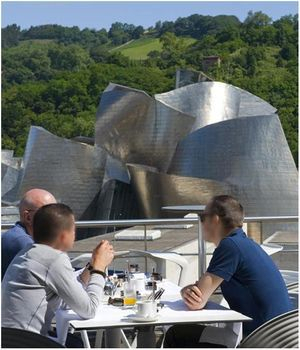 At the Silken Gran Domine, one of the finest hotels in the Basque country, you will enjoy luxuriously modern accommodations directly across the street from the Guggenheim, and a short walk along the river to many fine shops and superb restaurants in the old town. 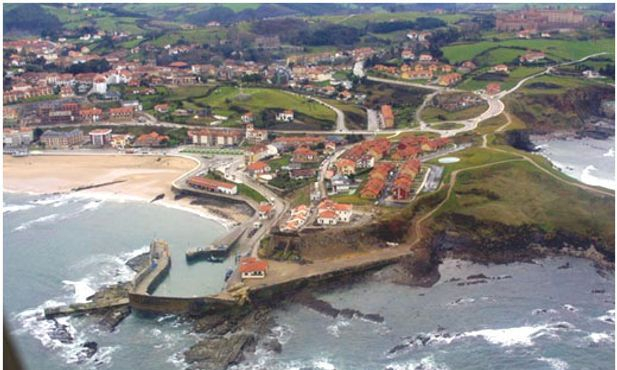 It is ranked #1 on Trip Advisor’s hotels in Bilbao. We will have some wonderful breakfast buffets during our journey, but none match the incredible number of delicious dishes that you will find here. The setting – on one of the top floors of the hotel – is also a place to reward yourself and allow plenty of time for a relaxing. Today is a day with nothing on the schedule; a day to relax and have a late breakfast, stroll through the Old Quarter of Bilbao or take a short bus ride to San Sebastian to visit this lovely city filled with pintxos bars and wonderful shopping. Antonio and I can help with any suggestions you might need. RELAXING WITH US AT A 4 HOUR LUNCH!! THEIR RESERVATION POLICY THAT REQUIRES A DEPOSIT. An exciting change to the 2019 itinerary will bring us to Bodega Katxina in the Getariaka sub-region of Txakoli. This amazing, south facing winery at the center of 8 hetares of vineyards is set on a hillside leading down to the Oria River. It was started only 4 years ago and its wines have already been recognized as some of the best produced in the region. 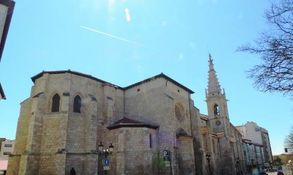 After lunch there will be plenty of time to stroll through San Sebasitan before we travel on to Haro for our stay at Los Austinos and winery visit in the wine producing region of Rioja. SEPTEMBER 17TH (Tuesday) – After breakfast we will have only a short ride to the world famous Bodega and vineyards of Vina Tondonia in Haro where we will enjoy a tour of the winery, and wine tasting. We will return to the hotel after the visit. 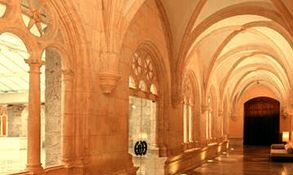 SEPTEMBER 18TH (Wednesday) After breakfast we will travel to Bodegas Valduero for a tour of the cellars, a wine tasting and lunch. A multi-course gourmet lunch will be served with meticulously paired wines. 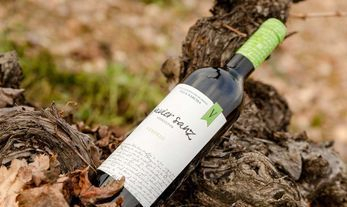 These wines have often received 90 points or higher from Robert Parker, and your tasting and vineyard tour will be guided by Yolanda Viadero, the winemaker and daughter of the winery owner, and/or the export manager. In past years, our lunch at Bodegas Valduero was one of the highlights of the trip. The whole range of their wines were opened and paired with an incredible lunch served at the winery. The guests enjoyed the wines so much that they ordered several cases of wine which they purchased which were shipped to them when they returned to the U.S. n fact, there is a very special barrel program that you will learn about. 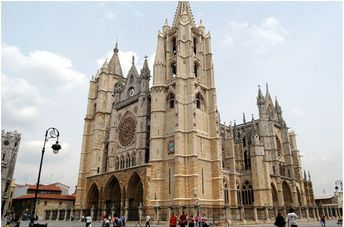 We will then travel to back to Burgos to enjoy the rest of the day on your own. over time, these holdings became quite large. About 500 years later these lands were given back to the village, but they retained the name “Land of the Chaplains”. The present owner, Paco Rodero, purchased the lands from the village and built a magnificent winery using the finest equipment and the most perfect cooperage to make some of Ribera del Duero’s finest wines. Diego Cebrian, the export director and Julio, the assistant wine maker will lead the tour and the tasting. These wines have consistently received extraordinarily high praise from the world’s wine press and in the past have been among those wines on the Wine Spectator Magazine’s “Top 100” list. In 2012 and again in 2016 this winery was “Winery of the year” for Wine & Spirits Magazine. 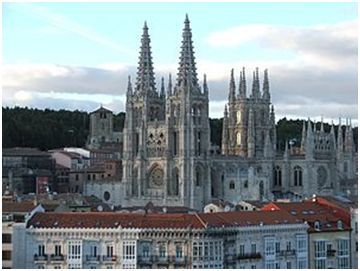 Afterwards we will return to Burgos where you will be free to enjoy more of the city’s charm. The Wellington is by any standard a remarkable hotel. This elegant 5 star hotel in the heart of the sophisticated Salamanca shopping area of Madrid exemplifies the ability to frame uniquely modern dining experiences with the highest of old world excellence of service and elegance of setting. SEPTEMBER 23rd (Monday) – After breakfast you will need to make arrangements for transfer to the airport for your return flight. You can contact Merrill if you would like to add a post tour to Barcelona or points beyond. DEPOSITS SHOULD BE RECEIVED BY DECEMBER 31, 2018. FINAL PAYMENT DUE BY APRIL 7, 2019. TO CHANGE UNTIL FINAL PAYMENTS ARE MADE. COMPLETE EXPLANATION OF TERMS AND CONDITIONS. Call Merrill at Sun Bird Travel for details or click Insurance tab. ENJOY ALL ASPECTS OF THIS TOUR.